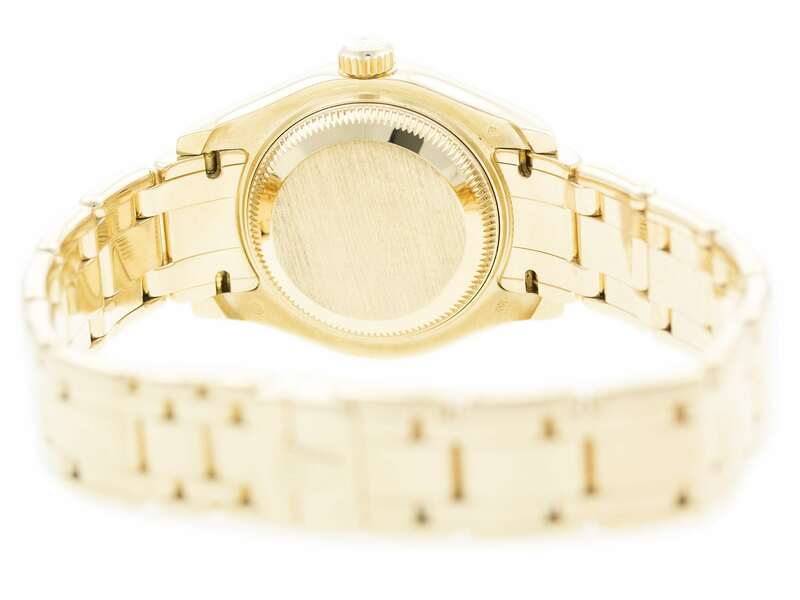 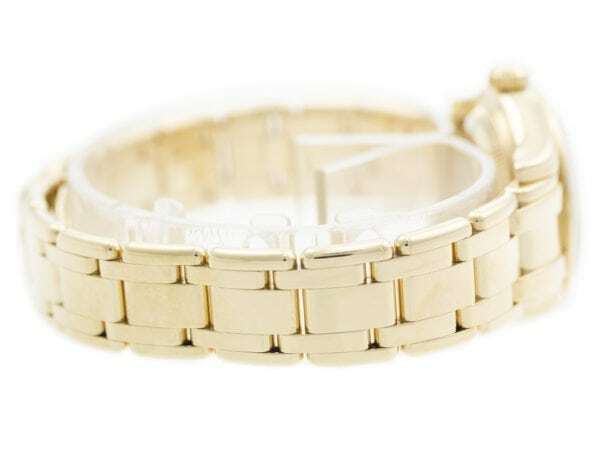 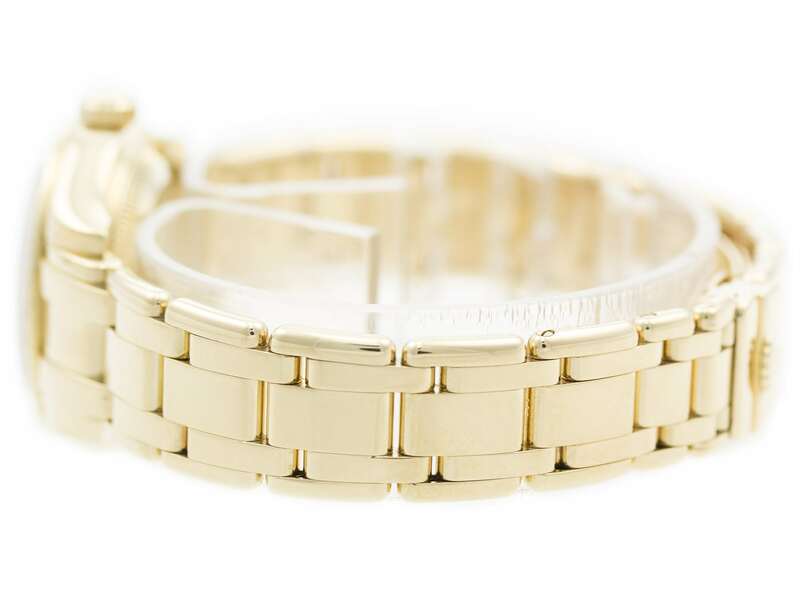 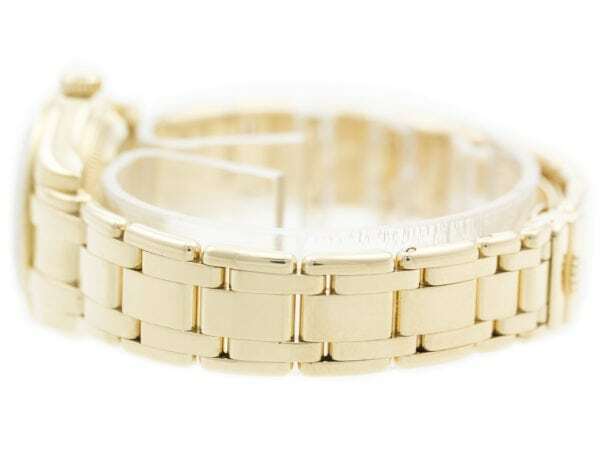 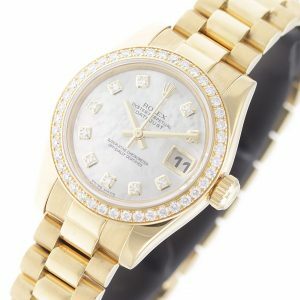 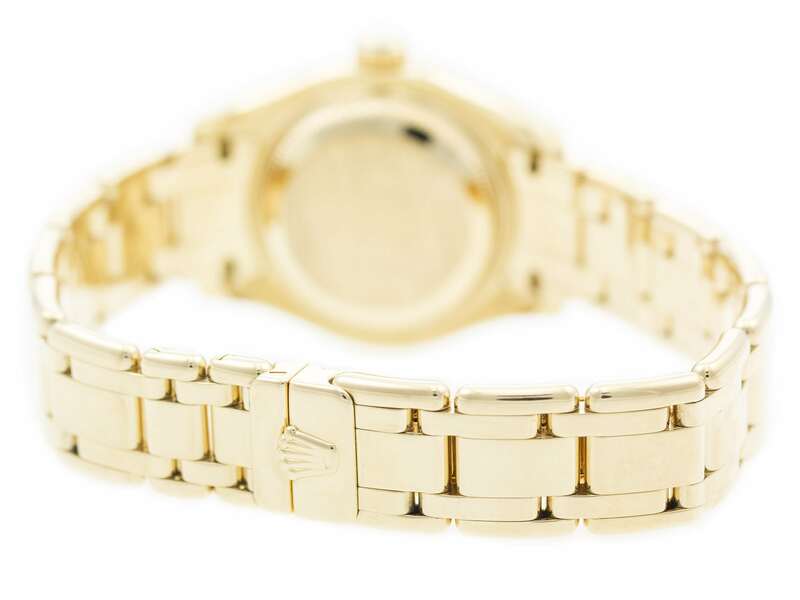 18k Yellow Gold Pre-owned Rolex Pearlmaster 29 80298 watch, water resistant to 100m, with diamond dial & bezel, date, and bracelet. 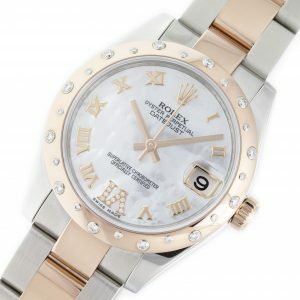 Stainless Steel & Everose Gold Rolex Datejust 31 178341 watch, water resistant to 100m, with Brushed & Polished Two Tone Oyster Bracelet. 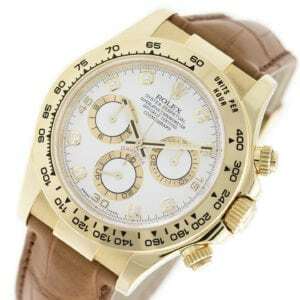 18K Yellow Gold Rolex Daytona 116518 watch, water resistance to 100m, with diamond dial, chronograph, tachymeter, and leather strap. 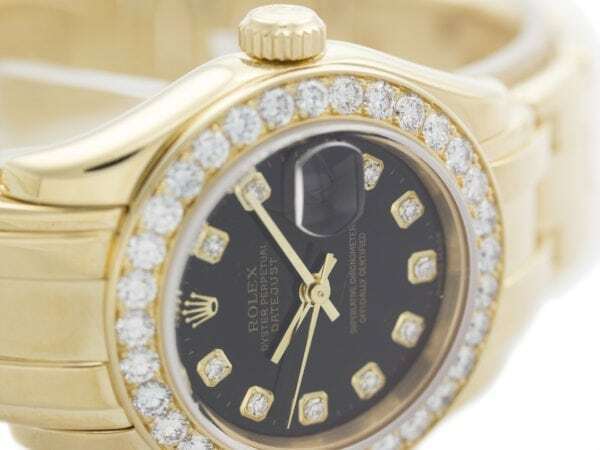 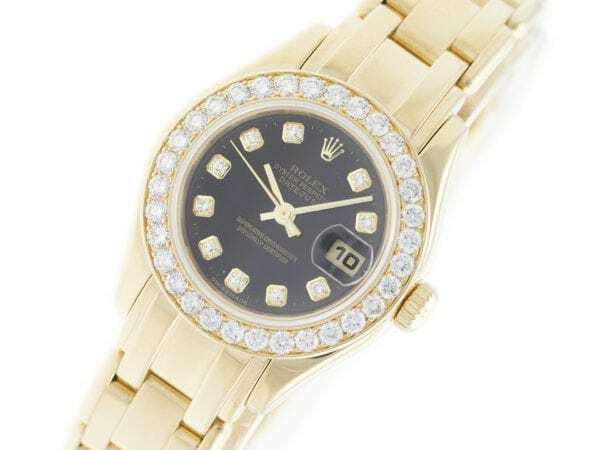 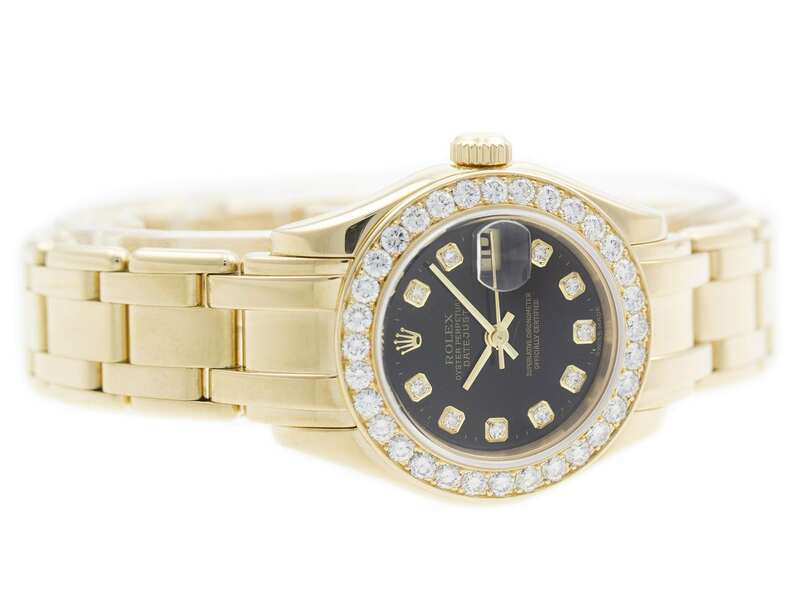 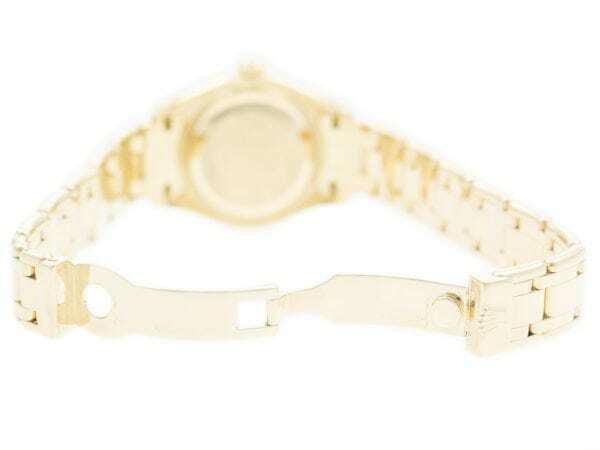 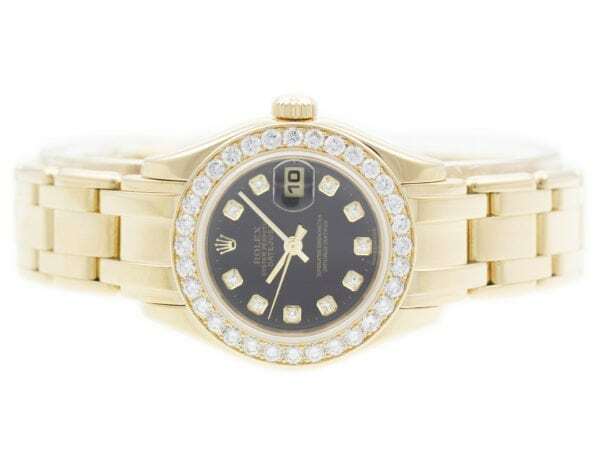 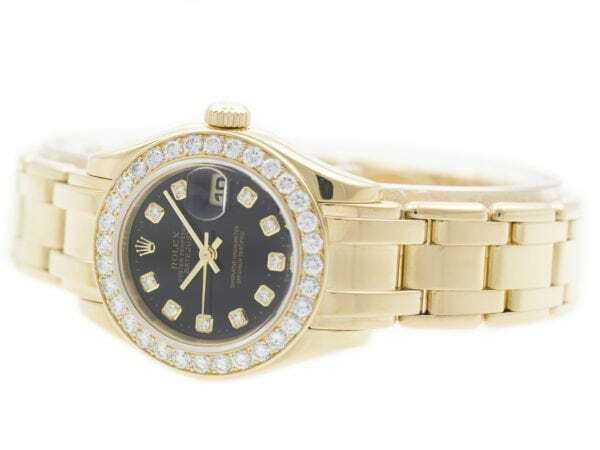 18K Yellow Gold Pre-owned Rolex President Datejust 26 179138 watch, water resistance to 100m, with diamond bezel & indexes, date, and cyclops lens.